The Byrdes attend a funeral and Rachel opens up to Marty. 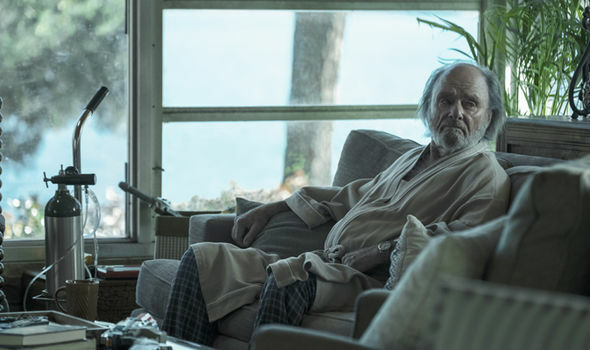 Listen in for our Ozark recap of season 2, episode 6. Episode 6, entitled “Outer Darkness,” sees the Byrde family attending a funeral, Wilkes making a play with Petty, Wyatt getting expelled, and Rachel opening up to Marty. Bones are found on the Snell’s property and Mason suffers another loss. Charlie has to decide how to protect himself when Agent Petty comes sniffing around. How much did he find out from Wendy and what did he tell Petty? What would YOU do? Join the discussion in our Ozark’s Dirty Laundry Facebook group! Please follow us @stingerpodcast everywhere! Call 315-STING-TV (315-784-6488)! Leave a voice message and we’ll feature YOU on the podcast! Shannon writes and podcasts about travel, TV, movies, road trips, food, and embracing adventure at any age. She shares her experiences, offers travel inspiration, and discusses the latest in entertainment at https://TheTVTraveler.com and https://StingerUniverse.com. Wondering what to watch next? Get our updates in Facebook Messenger!